Creating a user-friendly, streamlined site to inform, educate and raise valuable funds. Julia’s House is a children’s charity dedicated to supporting children and their families living with life-limiting or life-threatening conditions. They are the only children’s hospice in Dorset and Wiltshire providing life-changing support to help local families from diagnosis through to the end of a child’s life and beyond. 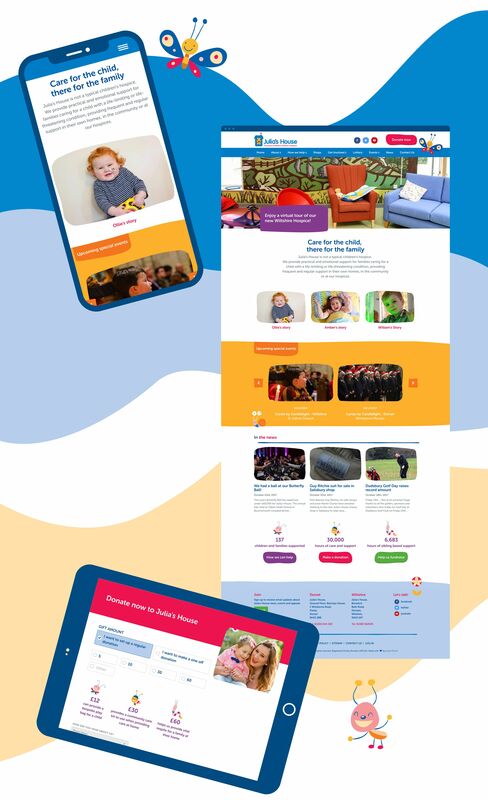 The charity came to us with a site whose look and feel was very dated, had no clear calls to action and didn’t showcase the charity’s work or its profound effect on children and their families. Their key objectives were to inform and educate visitors about their work and raise valuable funds. They also needed a shop, events page and a secure area. Julia’s House recognised the need for the site to make use of visual content in order to tell their story in a powerful way. Our design for the site made heavy use of imagery and video to appeal on an emotional and personal level. Recent videos we have donated to the charity tell the raw stories of real families who have benefitted from the hospice’s incredible work. The design also built on the work the charity had recently done to their brand. We applied the style to the website, picking out elements to suit different design features and functionality. 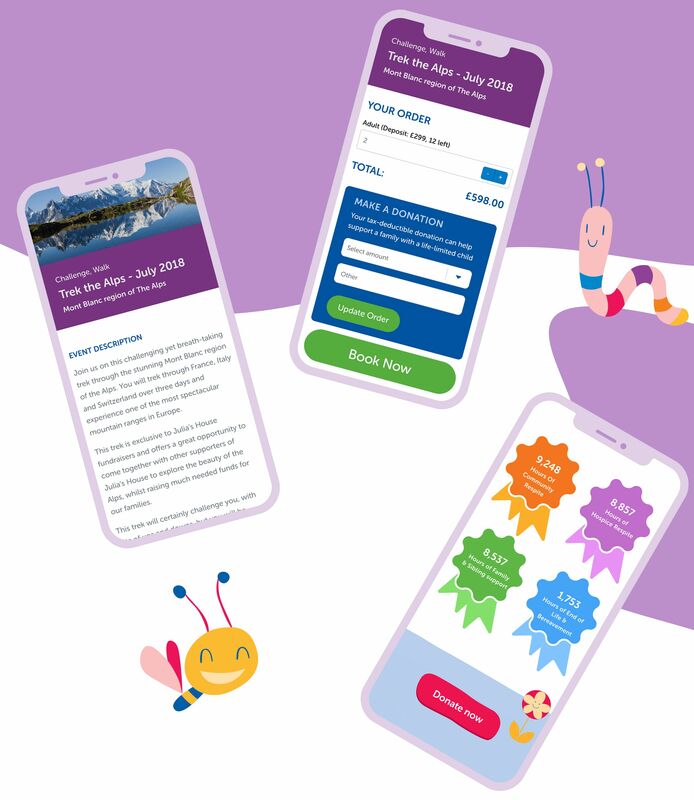 For example, we made use of a range of animations based on the brand’s characters, including a flapping butterfly, to draw the user’s attention to the donate button – a clear call to action. The result was a naive and childlike look and feel, but one that did not detract from the serious and profound message and work Julia’s House do. With clear calls to action and a simple, logical user journey, Julia’s House have seen some stunning results.